I've never been a great fan of Wordsworth's poetry (picture above from here). I've always preferred Coleridge & the later Romantics like Keats & Byron. But, I saw a fascinating series on TV presented by Owen Sheers, A Poet's Guide to Britain, & it changed my mind - well, about this poem at least. I think I was attracted by the fact that this poem is not about the Lake District, not a daffodil or majestic mountain in sight. 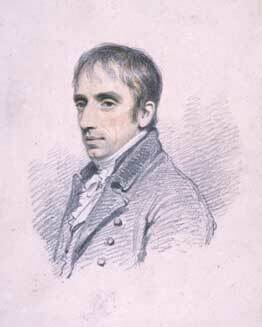 It was written in London, when Wordsworth & his sister, Dorothy, were on their way to France to meet with Annette Vallon, the woman Wordsworth had fallen in love with years earlier. They were seperated by the Revolution & Annette had brought up Wordsworth's daughter who he would now meet for the first time. Composed Upon Westminster Bridge is a beautifully quiet poem. Day is dawning, the busy city is just waking up, & maybe Wordsworth is contemplating the journey ahead & the reunion to come. Anne Hereford is a very wild ride indeed. Mrs Henry (Ellen) Wood was a prolific & popular sensation novelist in the 19th century. She’s best known for East Lynne, which is the only book by her that I’d read until now. I was reading Anne Hereford with my 19th century bookgroup & we read about seven chapters a week. The first seven chapters of Anne Hereford are breathtaking. Young orphan Anne arrives to stay with her young, giddy aunt, Selina, & her forbidding husband, Edwin Barley. Barley's ward, Philip King & another young man, George Heneage, are competing for Selina's attention. Philip is shot & accuses George of the crime with his dying breath. George disappears & Selina rushes about in the fog, searching for him, in inadequate clothing, falls ill & dies. Edwin Barley is a stern, sinister man. Anne is frightened of him from their first encounter. He’s very much in love with Selina, who acknowledges that she married him for his money & the security it would give her. She thoughtlessly teases & encourages both Philip & George as they fall under her spell. Then there’s Charlotte Delves, housekeeper & distant relation of Edwin Barley. She resents Selina & may have had designs on Edwin herself. After Selina’s death, her will, made out as she was dying, in Anne’s favour, is nowhere to be found. Did George Heneage kill Philip King? Anne witnessed Philip’s death but doesn’t see where the shot came from. Was it accident or murder? Edwin Barley was also out with a rifle that day & he is King’s heir. Was Selina’s death natural? What has happened to her will? All this in the first seven chapters & then I was supposed to put the book aside for a week! I did put the book aside & the next week’s instalment heralded a complete change of scene. Anne is sent to stay with another aunt, Mrs Hemson, who has been disowned by her family because she married beneath her. Her husband is in trade. Anne is surprised to discover that the Hemsons are a delightful family who are truly genteel. She’s happy there in comparison to her time with the Barleys where she was ignored, fussed over by Selina or frightened. She soon moves on to school, one in England & the second in France. Anne’s small inheritance will now only support her through school, then, she must work as a governess or companion. There are echoes of Villette as Anne travels to France & meets a spoilt English girl, Emily Chandos, on the journey. Emily is very like Ginevra Fanshawe, even down to the illicit French lover. Anne stays at the French school, run by the Miss Barlieus, until she is 18 & they help her to find several posts, all unsatisfactory. Emily has eloped with her lover, Alfred de Mellissie. She reappears at the school just as Anne has returned from an exhausting post & employs her to act as her companion when she visits her family in England. Not long after they reach Chandos, Emily is recalled to France by her ailing husband, leaving Anne alone in a strange house among strangers with a lot of secrets. There is a shadow over the Chandos family. Emily’s mother, Lady Chandos, is kind but frosty towards Anne. She obviously does not want this young girl, a stranger & in an ambiguous social position – not a servant but not a social equal – in the house. There’s the mysterious Mrs Ethel Chandos, Lady Chandos’s daughter-in-law, whose husband is never spoken of & who is very highly-strung & temperamental. Sir Thomas Chandos, the eldest son, is away in India & Mr Harry Chandos, a younger son, is at home running the estate. Ethel is obviously not Sir Thomas’s wife or she would be known as Lady Chandos & she doesn’t seem to be Harry’s wife. It’s all very mysterious. Lady Chandos’s maid, Hill, is a fiercely loyal retainer who blocks Anne’s enquiries & guards the entrance to the east wing like a dragon. The events of Anne’s childhood are brought forcibly back to the reader’s mind when Anne discovers that the new tenant of the lodge of the estate is none other than Mr Edwin Barley, her uncle. Anne is determined that he should not recognize her as she fears that he may still have some financial hold over her. She is dismayed to learn from Harry Chandos that Barley is an inveterate enemy of the family & his reasons for renting the lodge can only be wondered at. He is a rich man & has an estate of his own. However, he has never stopped trying to find George Heneage, who was never brought to justice for Philip King’s death. Is his residence at Chandos connected with this quest? If so, how could it affect the Chandos family? Harry & Anne spend a lot of time together in the evenings & at meals, even more when Lady Chandos is taken ill & confines herself to the east wing. Their relationship gradually turns to love, although Harry tells her he can never marry because of the cloud hanging over the family. The servants believe that the family is cursed by a ghost that appears when a member of the family is in danger. Anne sees this curious apparition one night. It looks like a man, with a resemblance to Harry Chandos, & it wanders over the grounds, weaving in & out of the trees & finally disappearing into the east wing. Harry tells Anne that she has seen, not a ghost, but himself, sleepwalking. Anne is puzzled, but, if it’s not Harry & it’s not a ghost, who or what else could it be? Ethel Chandos employs a new companion, a bold woman with bright red hair, Mrs Penn. Red hair is never a good sign in sensation fiction. 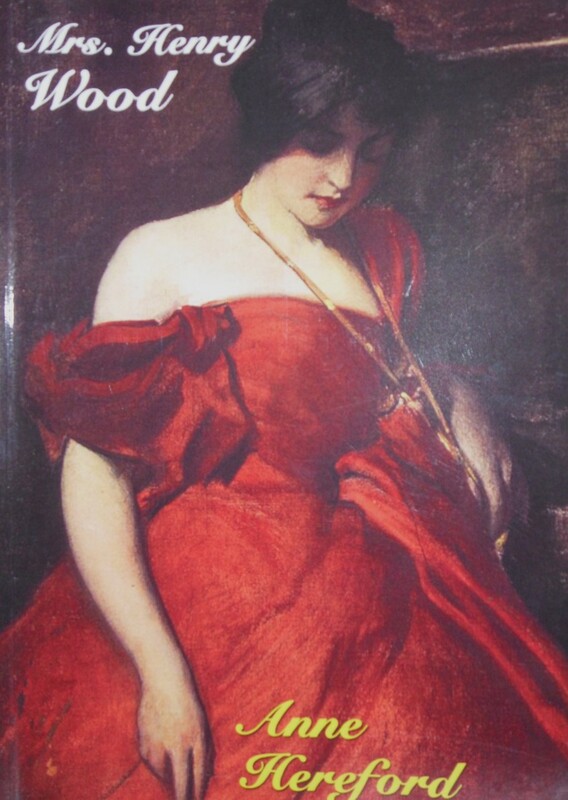 Remember Lydia Gwilt in Wilkie Collins's Armadale? Anne feels sure she has seen Mrs Penn somewhere before but is fobbed off with the story that they had seen each other in Nulle, the French town where Anne was at school. Other disturbing incidents occur. Money & papers are stolen; Harry is thrown from his horse after it is startled by a woman in a grey cloak; one of the servants, Lizzy Dene, is seen by Anne in conversation with a man who might be Edwin Barley. Is she a spy, working for this enemy of the family? What is this cloud hanging over the family & why can’t Harry marry Anne? Mrs Penn implies that he is married to Ethel Chandos but Anne doesn’t want to believe this. The story reaches a climax when Anne finds herself in the east wing, confronting a dying man who reveals the secret haunting the Chandos family. 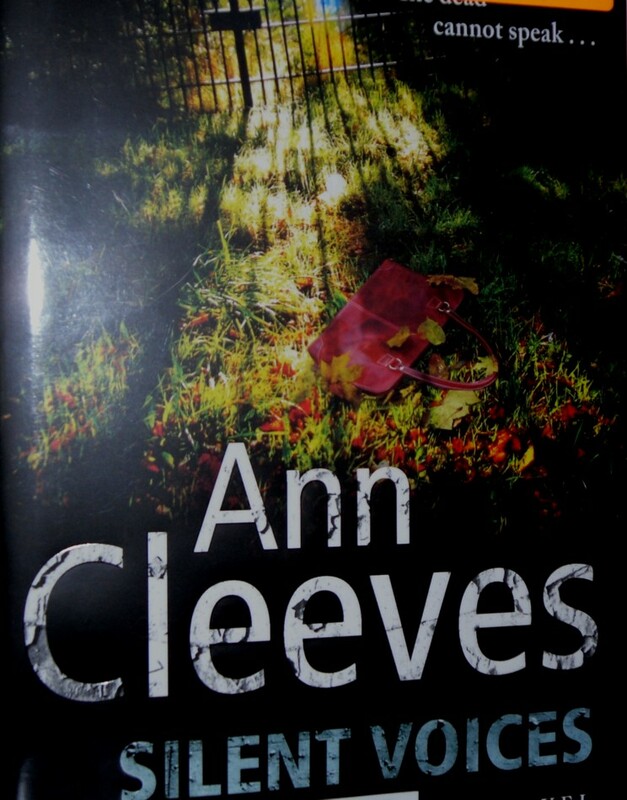 There are echoes of Villette, Jane Eyre & Wilkie Collins in Anne Hereford. The story is narrated by Anne which certainly adds to the atmosphere as the reader tries to untangle the many mysteries & questions as Anne does. At some points I couldn’t put it down & I did read the last two instalments together because I just couldn’t wait any longer to find out what was going on. There are some clumsy moments in the last chapters as Wood tries to tie up all the loose ends & the number of coincidences is extraordinary. But, this is sensation fiction & Anne Hereford is a fine example of the genre. It has everything – a sinister uncle, suspicious deaths, a missing will, young lovers kept apart by a terrible secret; ghosts & a sleepwalker. It all adds up to an exciting, heart stopping read. I’m not surprised that young girls were warned to stay away from books like Anne Hereford! It's a grey, gloomy day outside & I'm feeling pretty grey & gloomy inside too. What I thought was arthritis in one of Abby's legs didn't respond to treatment. By this week she could barely put any weight on the leg at all, she wasn't eating very much & she was losing weight & just generally miserable. She had blood tests & X rays this morning & they showed a bone cancer in her leg that had advanced quite a bit in only a few weeks. So, I made the decision to have her put to sleep. She was at least 16 years old & I didn't want her to suffer any of the treatments on offer - amputating the leg and/or chemotherapy. Abby lived with my Dad for her first 10 years. 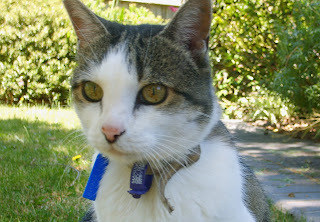 She was a stray who just walked in one day about six weeks after my Mum died & took over Dad's life. He loved her & she was a wonderful companion for him. 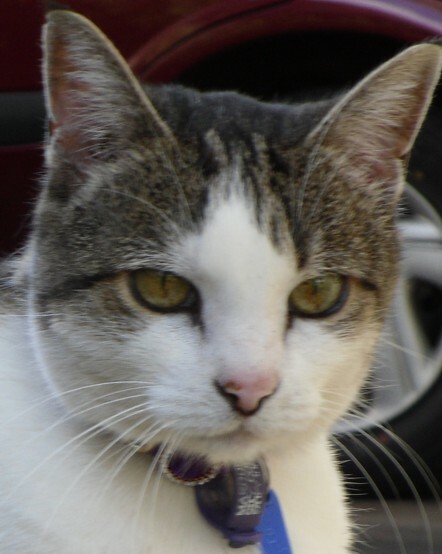 Then, she came to live with me six years ago when Dad died and took over my life! I got used to the 4am wake-up calls, the imperious demands for me to hurry up & sit down so she could go to sleep on my lap & her unerring instinct that I was about to cook some chicken or fish & could she have her share please? My life will be a little bit lonelier without her. Here are some of my favourite pictures of Abby. Luckily I have lots of photos & I have all my posts here about her as well. Another reason I'm glad I started blogging. I'm having Abby cremated & I plan to scatter her ashes in the rose garden I'm planning. She had many favourite places to sleep but this was one of the best & shadiest on warm afternoons. 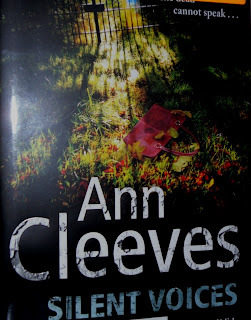 I've just finished Ann Cleeves's latest, Silent Voices. I really enjoyed the Shetland Quartet which I discovered last year, long after every other mystery fan had read them. Silent Voices features Cleeves’s other series character, Vera Stanhope. Vera is another loner cop. 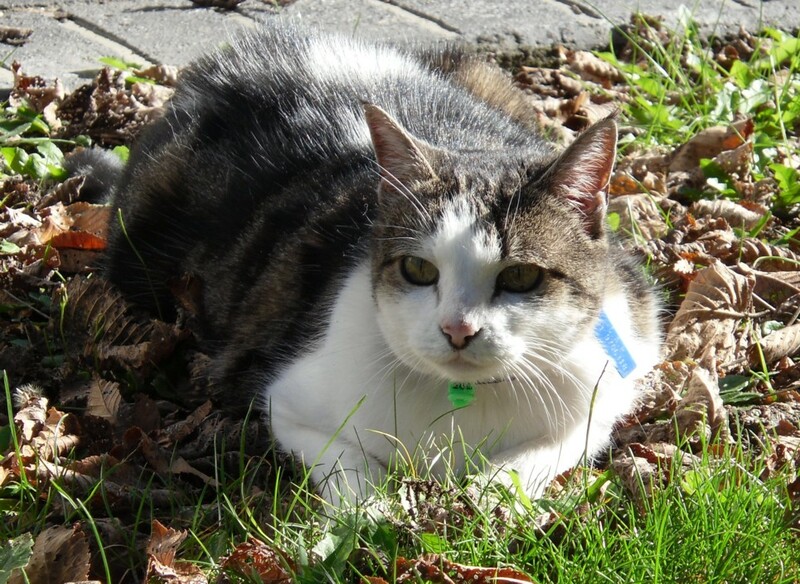 Overweight, unhealthy, lonely, she lives in the house her father left her but he seems to have taken delight in putting her down so her self-esteem is pretty low. Except at work where she knows she's a great detective. Vera's doctor tells her to lose weight so she joins a health club at a local hotel & swims laps. When she finds a dead woman in the sauna, Vera & her team investigate. Jenny Lister was a social worker who seemed to have no enemies but she did have a connection to a notorious case when a woman drowned her son. Was her death related to the case? As Vera & her team investigate further, it also seems that there could be a connection with the health club where Jenny died. Security at the club was very lax & several suspects were there on the day of the murder. Another subplot also explores the aftermath of the child abuse case. Mattie Jones had drowned her son because her boyfriend had left her. She was so besotted with this man that she thought he would come back to her if her son was gone. The man has a history of choosing younger, vulnerable women & when Jenny Lister discovers that he is living with another young woman, she may have tried to interfere & roused his anger. Then there’s Connie, the young social worker supervising Mattie who lost her job & after little Elias died. Connie was pilloried in the media after Mattie's trial & she & her daughter have endured the gossip & the loneliness of being ostracised. Did she resent Jenny’s role in her dismissal? When Vera discovers that Connie now lives in the same village as Jenny Lister, she thinks she’s found motive & opportunity. But has she? Vera's a great character. She’s funny, direct, vulnerable, can’t delegate, & alternately infuriates & inspires her DS, Joe Ainsworth. Silent Voices is an involving novel with enough subplots & shady characters to keep the reader guessing until the end. I'd like to read the earlier books in the series & I hope we get to see the recent TV series, Vera, starring Brenda Blethyn. We're on the downhill run to the end of financial year at work & we need regular sweet treats to keep us smiling under pressure. So, I've made fruit & nut cupcakes for morning tea. 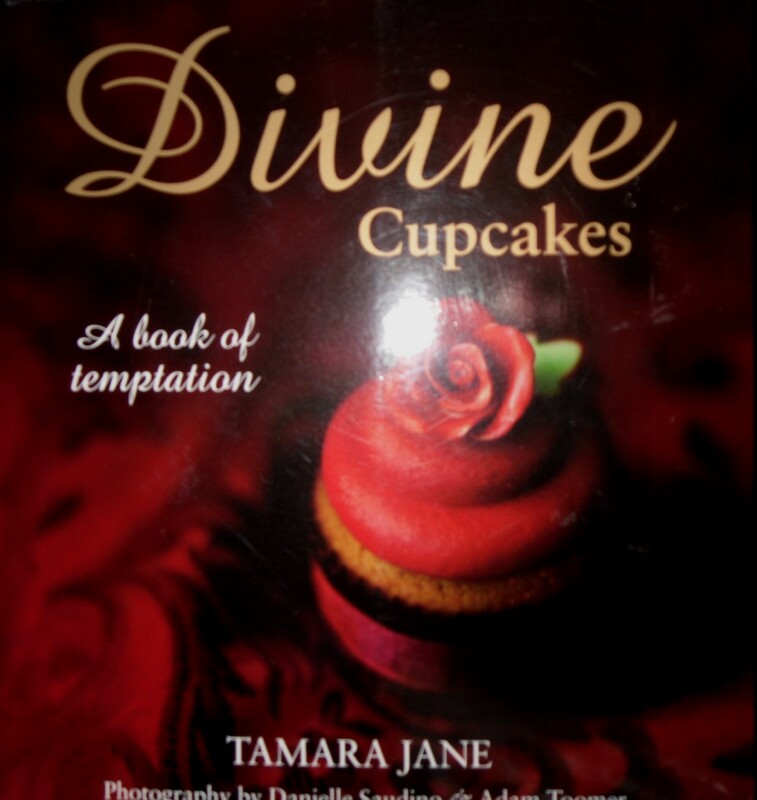 These are from the Divine Cupcakes book by Tamara Jane. 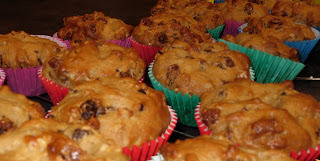 The recipe called for chopped dates but I substituted sultanas because I didn't have dates & if I had, I didn't have time to stand around chopping them. One of the most tedious jobs in the kitchen, even with the help of a wet knife. I also chose a recipe that didn't need icing or frosting as I was out all morning yesterday & wanted an easy recipe, which these were. I've been very impressed with this book. 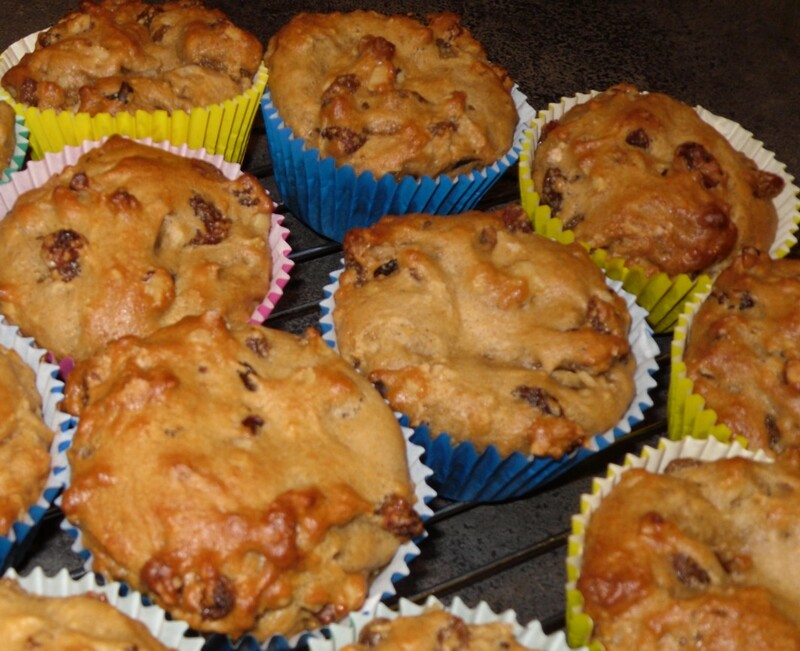 All the recipes I've tried so far have worked perfectly. If the recipe says it makes 24 cupcakes, it does. The cupcakes bake flat so they're easy to ice & there are lots of different icings & frostings to try, as well as gluten & dairy free recipes. I'll be dipping in again before the end of June. This has always been one of my favourite poems. And, of course, it's one of the most famous poems in the English language. 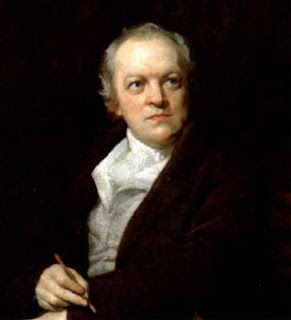 William Blake (picture from here) was a poet, a mystic, an artist & printer. His poetry can seem simple & repetitive but there's always so much going on in his imagination that his simplicity hides a great depth of meaning & infinte interpretation. 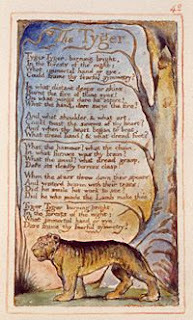 I love the language of The Tyger. His fearful symmetry, the imagery of the tyger being forged like steel in a furnace. All those questions, can we ever understand the marvels of nature, whoever or whatever created them? I just read it for the hundredth time & wonder. In what wings dare he aspire? 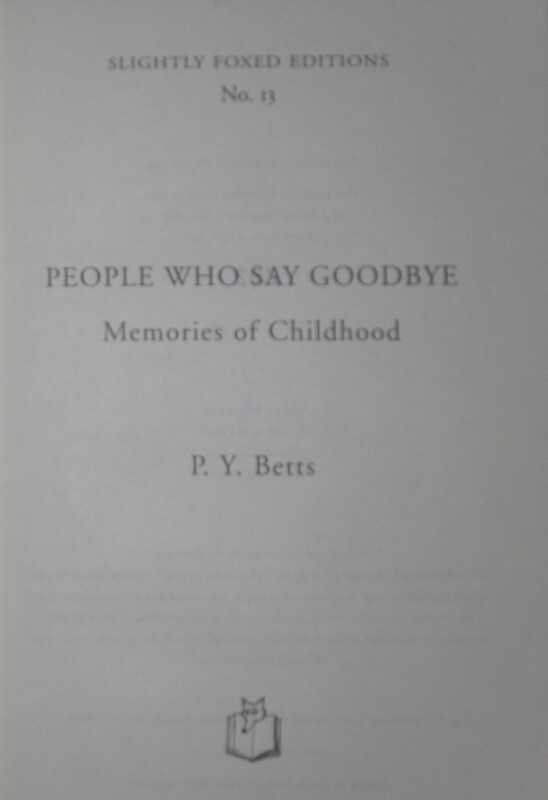 People Who Say Goodbye is the latest Slightly Foxed edition, a series of memoirs reprinted by that very enterprising quarterly journal, Slightly Foxed. The books themselves are lovely objects, small cloth-bound hardbacks with the same creamy paper as the quarterly & a ribbon bookmark. I’ve taken a photo of the title page because I have trouble getting a good shot of the spine. The tiny gold writing always looks blurry. It’s difficult to describe the charm of this book. It’s all in the tone of the writing, so mordant & unsentimental. On the surface it’s just a memoir of growing up in a London suburb around the time of WWI but the way it’s written is so engaging that it becomes more than that. The procession would go by, down the hill into the wintry afternoon with its faint foggy smell that gripped your throat if you were out in it. It was the smell of coal fires and winter. The sky, when the cortege had gone out of sight, would be smoky grey with red streaks over the low-lying ground beyond the cemetery. Those afternoons were very quiet. The road seemed scarcely used. I would wait. Then faintly the bugle would sound, final and sad, the lamenting never-coming-back notes of the Last Post. It seemed to me a dark, smoky, red slash of sound against the quiet grey of the London winter evening coming down. Not long afterwards the soldiers and the horses were to be heard coming back at a smart trot, the coffin and the flag gone from the gun-carriage. The soldiers were hurrying home to their barracks for tea with plum-and-apple jam. The Betts family is just fascinating. Mother is almost brutally honest; just after the scene quoted above, Phyllis asks her what happens to all the people buried in the cemetery. They rot, is the answer. Phyllis has to have teeth extracted. Her mother tells her that it will be painful but the pain will be short & sharp. It was & Phyllis was never frightened of the dentist because her mother always told her the truth. She always seems to have employed maids who have a problem (lying, a tendency to be saved by the Salvos, adenoids) & they usually leave the Betts's to "better themselves". Sometimes they come back when the bettering doesn't work. A word, but only a word, about my brother. He was my senior by five years and will be rarely mentioned. The reason for this is that he is still living, in his middle eighties with all his wits about him, capable, and perhaps quite willing, to sue me for libel should a loophole for a libel action present itself. Anyone who has had a brother will understand that it is difficult to write about him without incurring the risk of a libel action. If you can’t say something kind, don’t say anything at all. We have all heard that. So I am not saying anything at all about my brother, or at least not much. She spoke of Joseph & his coat of many colours not only as if she had lived next door to Joseph, but had patched his coat. All the Biblical characters were everyday people to her. She had taken strongly against Abraham for his cruel treatment of the ram in the thicket and said it was just what you would expect of a man with a beard like that, she had always disliked a beard on a man. There’s also the sad story of Uncle Jack, who comes back from the war with a terrible secret & marries a divorcee with two children, putting himself & his family beyond the pale as well. Phyllis’s paternal grandparents are loving & kind. They come to the rescue when Phyllis has to be quarantined while waiting to see whether she has caught diphtheria from her brother. The rich family with oodles of room couldn't possibly have her but her other grandparents don't hesitate. I was struck by the very realistic view of illness & death, probably typical of a time when medicine was still a matter of hit & miss. A 20 year old girl dies of diabetes because insulin hadn't been discovered & there was no treatment; several childhood friends die of illnesses like black measles, whatever that may have been. And, of course, the military funerals were a constant reminder of the war. Phyllis was a very self-sufficient child, very matter of fact - or at least, the memoir is written in a very matter of fact way. That’s its charm & where most of the humour comes from. Phyllis is never self-pitying. She changed schools often & her mother would never let her buy the gym kit of the new school before she had grown out of the old one so she was always in the wrong colour uniform. Just as she would get a new gym kit, she would change schools & she would still be in the wrong colour uniform. This doesn’t bother her at all. She puts up with the teasing & because she is unaffected, it soon stops. She describes her childhood as she remembers it. 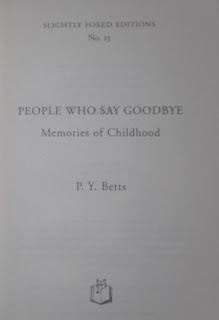 According to the Preface to this reprint Phyllis Betts was a short story writer in the 30s but dropped out of sight until she was rediscovered in the late 80s & encouraged to write this. I'd love to know what happened in her life between the 30s & 80s. I've lost count of the number of books I've read about Anne Boleyn. Including books about Henry VIII & the collective six wives, it must be dozens. I added two more to the tbr shelves just a couple of weeks ago - a reprint of Paul Friedmann's 19th century standard biography & Antonia Fraser introducing extracts on Anne & Elizabeth I from Agnes Strickland's Lives of the Queens of England. Anne is a fascinating woman. She has been hailed as the heroine of the Protestant Reformation, seen as an early feminist ambitiously creating the life she wanted to live & a victim of Henry VIII's ruthless desire for a male heir. Alternatively, she's a witch who was executed because she miscarried a deformed child, a woman with no morals who bewitched Henry & set out to poison Queen Catherine & Princess Mary to secure her place on the throne or an adulteress who deserved her fate. G W Bernard's biography is a sober, detailed re-examination of the sources for Anne's life & career & an attempt to get past the myths & reveal as much as possible of the real woman. The sources for Anne's life are few & most of them have biases of one kind or another. There are very few letters written by Anne. The extraordinary love letters Henry wrote to her are a testament to his overwhelming passion but we don't have her replies. Most of what we think we know comes from the dispatches of Eustace Chapuys, the Imperial ambassador. He was reporting to Emperor Charles V, nephew of Catherine of Aragon & no friend of the Lady as Chapuys referred to Anne in his reports. Chapuys was reporting gossip & intelligence he received from several sources at Court but although he often reported actual conversations, it's hard to know how he knew about them in such detail. He was also less likely to report anything favourable to Anne. The most neutral evidence seems to be from the reports of Sir William Kingston, Anne's gaoler when she was imprisoned in the Tower after her arrest. He & his wife recorded everything Anne said & her reported words are very revealing of her state of mind. Bernard's thesis is that there is no actual evidence in the sources for much of what is taken for granted about Anne. He believes that it was Henry, not Anne, who refrained from a full sexual relationship because Henry was determined that if Anne had a son, the child would be born in wedlock. So, rather than Anne as an early feminist, determined not to end up like her sister, Mary, one of Henry's discarded mistresses, & refusing the King her favours, it was the other way around. Bernard doesn't see Anne as a committed Lutheran, urging the King towards the break with Rome. That view of Anne as Protestant heroine was fostered by John Foxe's Actes & Monuments, known as the Book of Martyrs, written in Elizabeth I's reign to influence the new religious settlement. Most controversially, Bernard believes that Anne may have been guilty of at least some of the charges of adultery of which she was accused. Anne was accused of adultery with five men. Mark Smeaton, a musician at Court, Sir Henry Norris, Sir William Brereton, Sir Francis Weston, and, most scandalously, her brother, George. It has become conventional wisdom that these charges were fabricated by Henry because he was tired of Anne, feared she couldn't give him a son & wanted to marry Jane Seymour. Bernard's reasoning here is very persuasive. Anne's own comments to Kingston when she was in the Tower show that she had been indiscreet at the very least. For instance, Anne is reported as saying to Norris when she teased him about his reluctance to go through with his marriage, "You look for dead man's shoes, for if anything came to the king, you would look to have me." She also said when she heard of Norris's arrest, "O Norris, hast thou accused me; thou are in the Tower with me and thou and I shall die together." Anyone interested in Tudor history would enjoy this fascinating book. Bernard is not anti-Anne, as he explains in an Epilogue, he just felt that a look at the sources revealed a much more complex picture than is revealed in most biographies of Anne. I found the book fascinating & I'd recommend it to anyone who wants to know more about Anne Boleyn, her life & times. 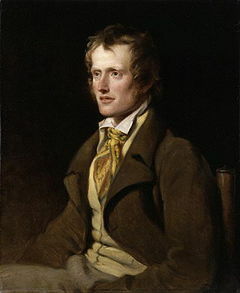 Penny left a comment on last week's Sunday Poetry post recommending this poem by John Clare (portrait from here). I'm up to the Romantic poets in my anthology but the book I'm taking my Sunday Poetry from (A Book of English Poetry collected by G B Harrison 1950) had no John Clare in it at all. So, I turned to another old anthology, The Penguin Book of English Romantic Verse ed by David Wright (1968) & there it was. Was Clare omitted from the earlier book (the first edition of Harrison's book was published in 1937, my copy is a reprint of the revised edition) from lack of space or was he just not in fashion? His work was forgotten for over a hundred years after his death & only rediscovered in the middle of the 20th century. Clare was well-known as a rural poet in the tradition of Robert Burns & he was deeply attached to his native village in Northamptonshire. When he moved only a few miles away, he was very much affected & his poems began to reflect this sense of loss. He was parted from his first love, Mary Joyce, & although he married another woman, he harked back to Mary during his periods of mental illness, imagining he was married to her. He spent almost the last 20 years of his life in an asylum & his poetry is full of lost love as well as his loss of the English countryside. I Am is a poem full of melancholy, loneliness & longing for peace and, as Penny said, written when the poet was in the asylum. And yet I am, and live like vapours tost. Are strange - nay, rather stranger than the rest. The grass below - above the vaulted sky. The two novellas in this volume are about marriage & more specifically, the perils for women of making unsuitable marriages. In the title story, Mrs Blencarrow is a respected widow, still young, managing the estate for her son. Her position in local society is unassailable although some of her neighbours jealously feel that she is maybe too reserved. When a flirty young woman elopes with her lover to Gretna Green, she sees Mrs Blencarrow’s name in the register. Could respectable Mrs Blencarrow be secretly married? Young Kitty Bircham doesn’t notice the man’s name (I thought this was pretty unbelievable) but it’s not hard to work out who the mysterious secret husband is. Kitty tells her mother to take her mind off the elopement & rumours spread. Mrs Blencarrow’s brothers arrive to find out the truth but her haughty refusal to discuss the matter leaves them nonplussed. Mrs Blencarrow finally confesses her story to the Vicar. The secret marriage to a younger man, inferior in station; the almost immediate regrets; the shame she feels & her fear that if the story gets out, her brothers would remove her children from her care & she would be disgraced. A solution is found, the threat of discovery is gone. Modern readers may wonder what all the fuss is about. Surely an independent woman can marry who she pleases? Not in 19th century England she couldn’t. Society’s rules on propriety were strict & unbendable. Mrs Blencarrow is not only a widow, she is the guardian of her son’s inheritance. Any hint that her morals are not beyond reproach would be fatal to her reputation. She would have been cast out of society & probably lost custody of her children. The fact was enough; his mind refused to receive it, yet grasped it with the force of a catastrophe. He sat down helpless, without a word to say, with a wave of his hands to express his impotence, his incapacity even to think in face of a revelation so astounding and terrible; and for a full minute there was complete silence; neither of the three moved or spoke. The calm ticking of the clock took up the tale, as if the room had been vacant – time going on indifferent to all the downfalls and shame of humanity – with now and then a crackle from the glowing fire. That match turned out, like most others, neither perfect happiness nor misery. Perhaps neither husband nor wife could have explained ten years after how it was that they were so idiotic as to think that they could not live without each other; but they get on together very comfortably, all the same. The second story, Queen Eleanor and Fair Rosamond, is the story of two deceived women. Much less melodramatic in tone than The Mystery of Mrs Blencarrow, this story has just as much emotion & I found it very moving. If you know the story referred to in the title, of Eleanor of Acquitaine & her discovery of her husband, Henry II’s, mistress Rosamond Clifford, hidden away at Woodstock, then the story’s plot has no surprises, although the endings are quite different. 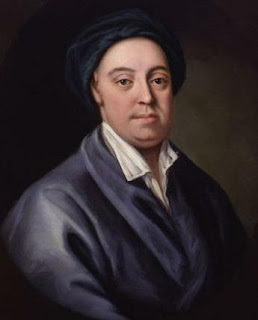 Robert Lycett-Landon is a businessman with offices in Liverpool & London. His family live in Liverpool but he spends increasing amounts of time in London on the pretext that he’s unhappy with the way the office is being run & wants to be there to personally supervise. His wife, Eleanor, & eldest son, Horace, go to London when they don’t hear from Robert & fear that he’s ill. They discover that, far from closely supervising the business, he has hardly been seen there for months. Eventually, Eleanor tracks him down to a pretty house in a London suburb. She is shocked to discover that there is a young woman there calling herself Mrs Lycett-Landon. Robert’s secret other life has been exposed. He has bigamously married another woman who has no idea that she is living a lie. This is the point where the story could have become as melodramatic & overwrought as The Mystery of Mrs Blencarrow, but Margaret Oliphant is much more subtle. Robert arrives & is horrified to see Eleanor but there’s no scene. Eleanor goes back to the hotel & takes Horace back home. She tells Robert’s business partner & her older children but no one else & the nine days wonder of Robert’s disappearance soon fades when there is no fresh news to feed it. Eleanor realises that her marriage is over & isn’t a revengeful woman. This modern Eleanor, who had fallen so innocently into Rosamond’s bower, had no thought of vengeance in her heart. She had no wish to kill or injure the unhappy girl who had come between her and her husband. What good would that do? Were Rosamond made an end of in a moment, how would it change the fact? The ancients did not take this view of the subject. They took it for granted that when the intruder was removed life went on again in the same lines, and that nothing was irremediable. But to Mrs Lycett-Landon life could never go on again. It had all come to a humiliating close; confusion had taken the place of order, and all that had been, as well as all that was to be, had grown suddenly impossible. Eleanor’s dignity in the face of such grief & humiliation is very moving. She even acknowledges that she must also have been at fault if Robert was not happy in their marriage & she was too preoccupied to notice it. Young Rose’s mother also discovers the trap into which her daughter has fallen. But we never discover what happens to Rose. Her mother seems set on keeping the secret because the scandal would be too great. Robert even visits her in later years, a broken man, but without telling her anything of his new life. Oliphant subverts all our expectations of either a great reconciliation scene or a tearful deathbed where Eleanor’s restraint is rewarded with Robert’s repentance. Instead we have a picture of a woman going on with her life with dignity. 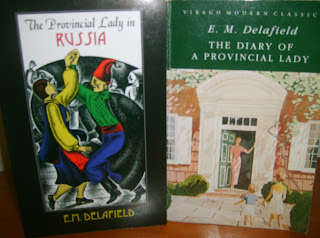 I enjoyed both these novellas very much. I have several more Oliphants on the tbr shelves, some of the Carlingford Chronicles that Desperate Reader has been so enthusiastically recommending & A Beleaguered City, a volume of stories of “the seen & the unseen” which look intriguing. I’ll definitely be reading more of Margaret Oliphant in the future. I was so happy to discover a couple of years ago that Vintage were reprinting all of Nevil Shute's books. Four of them were reprinted with lovely new covers & the rest in POD with these generic red covers. Nevil Shute is always popular with the borrowers at my library service & most of the copies we had were ancient Uniform Editions or the more recent House of Stratus reprints. There were several titles we didn't have at all so I rushed to buy up the complete set. I plan to read my way through the lot eventually! Pastoral is set on an air field in Oxfordshire during WWII. Peter Marshall is a young pilot on his second tour of duty. He's one of the lucky ones. He has survived nearly 50 bombing raids over Germany & his crew is now a tight-knit unit. Gunnar Franck is Danish, a medical student who ended up in England & is Marshall's second pilot & navigator. Rear gunner Sergeant Phillips from York is the other member of the crew & it's Phillips who introduces Marshall to the delights of fishing. All the crew become enthusiastic fishermen in their off-duty hours & the shared hobby keeps them occupied & binds them together as friends. On a beautiful autumn afternoon, Marshall catches an enormous pike. He's proud of his achievement but when he gets back to base, no-one seems especially interested. The fish is a great, ugly thing & no one thinks it will make good eating. Section Officer Gervase Robertson, a young woman just transferred to Hartley, takes pity on him & asks to see the fish. She even agrees to eat some of it for dinner. This is the beginning of their friendship, which for Peter, quickly turns to love. Gervase is not so sure. She was brought up in Thirsk, in the North Riding of Yorkshire. She's only 19 & feels unhappy & out of place at Hartley. The WAAF officers are supposed to stay aloof from the pilots & aircrew so Peter & Gervase's relationship begins with a few clandestine walks & bicycle rides in the country. Peter proposes marriage after only a few meetings, but Gervase has other plans for her future. She wants to work & travel for some years before she settles down. She'd have to leave the WAAF if she married & she enjoys doing her job & doing it well. She's a Section Officer, taking down & transmitting wireless messages from the crews when they're on raids. When Gervase turns Peter down, his disappointment & misery start to impact on his work. He becomes morose & snappish with his crew &, on a bombing raid over Germany, makes a mistake that could have had serious consequences for them all. The commanding officers take a dim view of the relationship & decide to encourage Gervase to ask for a transfer to another base. Gervase has another idea. She realises that her feelings for Peter are stronger than she first thought & also that his unhappiness is causing friction among his crew as well as endangering their lives. Her solution is simple but very effective & it allows her to get to know Peter & make some decisions about their future. 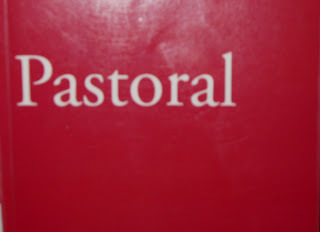 Pastoral may seem an odd title for a novel about bomber pilots in WWII. Pastoral implies a novel about the country with rustic yokels & shepherdesses falling in & out of love in the green countryside. However, it's not as odd as it first seems. The Oxfordshire countryside plays a crucial role in the story. It provides the respite from the war that everyone at the base needs. Peter & his crew enjoy fishing until the season ends & they then find themselves at loose ends, snapping at each other & bored. The camaraderie so vital for their effectiveness as a crew is compromised by this lack of a common interest. Peter & Gervase's romance develops during country walks, bicycle rides, fishing expeditions & a pigeon shoot as well as the odd visit to the cinema or a dance. These outings provide a counterpoint to the dangerous reality of their daily lives. Bomber crews spent days or even weeks in idleness, repairing their planes, practising new manoeuvres & waiting for the next mission. Taking their minds off the inevitability of danger & preventing boredom was crucial, especially when every raid resulted in at least some crews being shot down & the men killed or captured. The two bombing raids that Peter's crew undertake are described in nail-biting detail. The first raid shows just how dangerous it can be if the crew are unhappy & their officer lets them down. The second is so tense I almost stopped breathing at one point! Pastoral was published in 1944 & it has the immediacy of being written at the time of the events described. Shute was an aeronautical engineer & his experience shows in the detail of the work of the bomber crew. There are so many beautifully observed scenes. I especially liked Gervase's visit to Mrs Carter-Hayes, the owner of an estate near the base & the day Peter & Gervase spend in London. They go to the theatre & it's the first time Peter has seen Gervase in civilian dress. There's emotion but no sentimentality in Nevil Shute's writing & it's all the more moving for it. Pastoral is an absorbing book & I'm looking forward to reading more of Nevil Shute's novels. 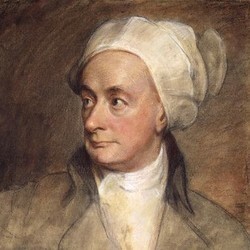 All I knew about William Cowper (picture from here) before I looked him up just now was that he was one of Jane Austen's favourite poets & she planted a syringa at Chawton because of a line in one of his poems. The son of a Hertfordshire rector, Cowper was a sensitive man who suffered from depression & religious melancholia. He was called to the bar but doesn't seem to have practised. He lodged with the Rev Unwin, an evangelical preacher & his wife & they encouraged his writing. After Mr Unwin's death, he moved with Mary Unwin to Olney where he wrote the poem I've chosen here, The Solitude of Alexander Selkirk. Selkirk was the original of Robinson Crusoe & I think it's the idea of Selkirk's loneliness on his island that attracted Cowper to the story. 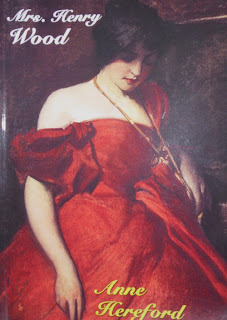 Cowper's own emotional life seems to have been quite solitary. He was engaged to a cousin but the marriage didn't happen & then to Mrs Unwin, his friend & patron but, again, they didn't marry. I didn't know any of this when I read the poem but I was struck by the gentle melancholy & resignation of the speaker. And be cheer'd by the sallies of youth. And the swift-wingéd arrows of light. Simon at Stuck In A Book has come up with a very clever idea for a post. He's called it One Book, Two Book, Three Book, Four...and Five. He poses five comments about his current reading & invited his readers to do the same & post the answers on their blogs. So, here's my list. 1. The book I'm currently reading. 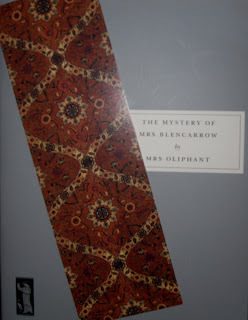 I've been inspired by Desperate Reader's Oliphant-fest so I've started reading the new Persephone edition of two stories by Margaret Oliphant, The Mystery of Mrs Blencarrow, which contains the title story & Queen Eleanor & Fair Rosamond. 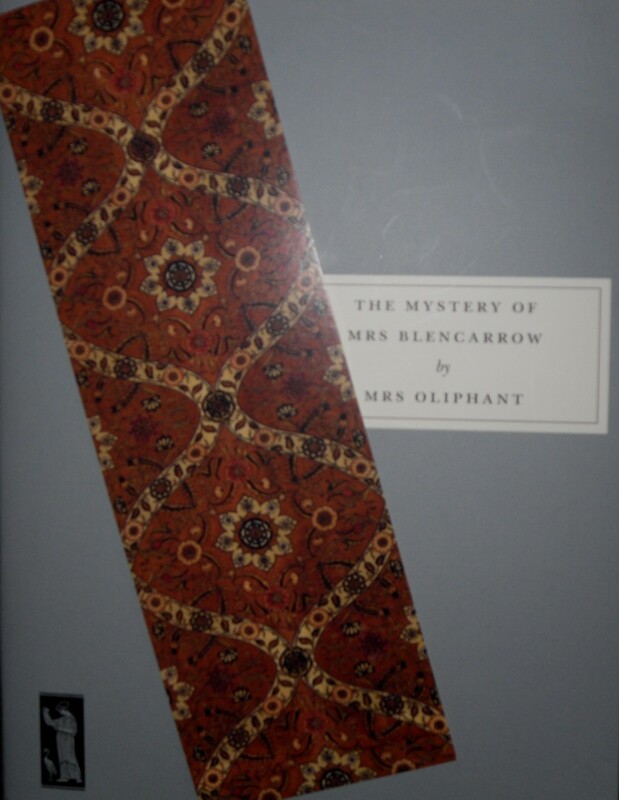 I'm halfway through Mrs Blencarrow & enjoying it very much. I'm also reading Anne Hereford by Mrs Henry Wood with my 19th century bookgroup. I've only read the first instalment but in just six chapters we've had a young orphaned girl arriving at the house of her young aunt who has married for money & regrets it; a housekeeper who resents her mistress; two young men vying for the affections of the mistress; the murder of one of the young men & the sudden death of the mistress of the house supposedly from a fever caught from wandering the grounds at night in a fog! Mrs Henry Wood is famous for East Lynne which I read & loved years ago but I think Anne Hereford is going to be just as exciting & sensational. 2. The last book I finished. I read Nevil Shute's Pastoral this week. Part gripping WWII adventure, part elegiac romance, I loved it & I'll be posting a review soon. 3. The next book I want to read. I feel the need for some non-fiction next, I think. 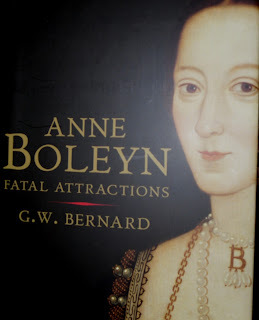 G W Bernard's biography of Anne Boleyn has been on the tbr shelves for about a year. Bernard has some controversial theories about Anne's downfall & I'm keen to read more. Especially as I've just bought two more books about Anne - a lavish reprint of Paul Friedmann's 19th century standard biography & an interesting book from Continuum Publishing. Antonia Fraser introducing extracts on Anne & Elizabeth I from Agnes Strickland's Lives of the Queens of England. Strickland's Lives were revolutionary when they were first published in the 19th century as she & her sister, Elizabeth (who shared the researching & writing), trawled through the original records in dusty libraries to write about these women with sympathy & insight. 4. The last book I bought. Well, I've taken advantage of the favourable exchange rate & Amazon's offer of free postage to Australia & bought quite a few books lately. A few weeks ago I read a post at Annie's blog, Senior Common Room, where she mentioned reading an essay by Jeanette Winterson, reprinted in this book, The Best of Books & Company. 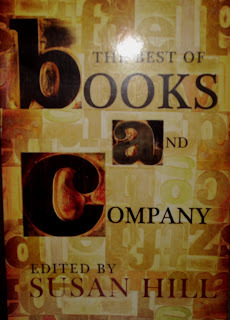 Books & Company was a literary magazine edited by Susan Hill between 1997 & 2001. I never knew it existed until it was gone so I was very excited to think that I could read some of the essays published in the magazine in this compilation by Susan Hill. I've already dipped in & read an article on Oxbridge crime novels by Andrew Taylor. There are essays by Penelope Fitzgerald, Adele Geras, Sophie Hannah, Penelope Lively (I've read this one too, about her futile attempts to weed her library) & Lucasta Miller on the Brontes. 5. The last book I was given. I'm not given many books by family & friends because some of them don't know what I already have & the rest of them refuse to encourage my bad habit. 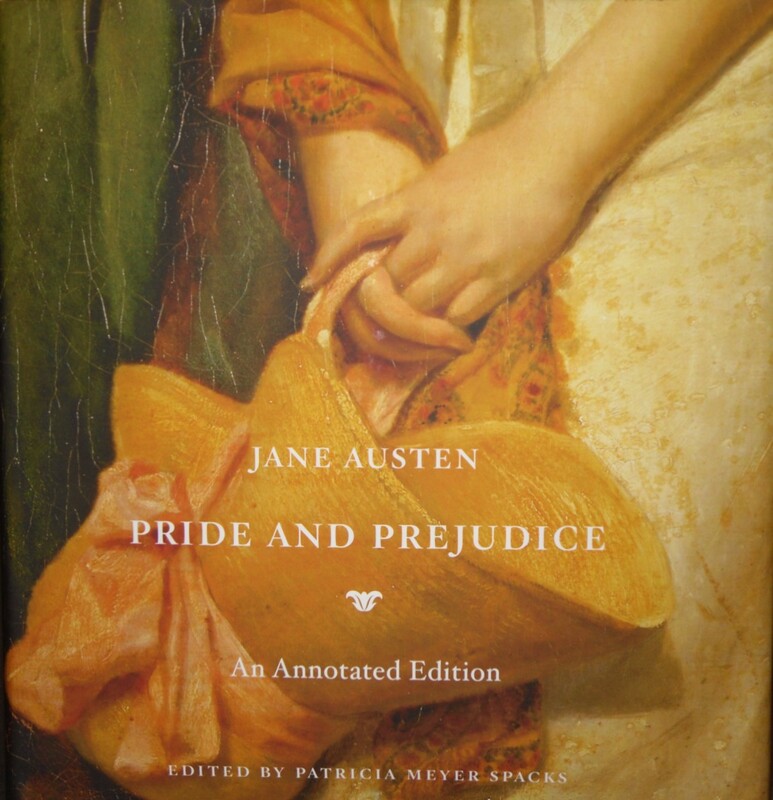 However, I have recently received this beautiful annotated edition of Pride & Prejudice as a thank you present. I have several copies of Pride & Prejudice but this is edited by Patricia Meyer Spacks, is filled with notes on every conceivable subject connected to the novel & Austen herself & has many lovely illustrations from fashion plates of the period & earlier editions of the novel. Thanks Simon, great idea & I've enjoyed writing about my current reading. 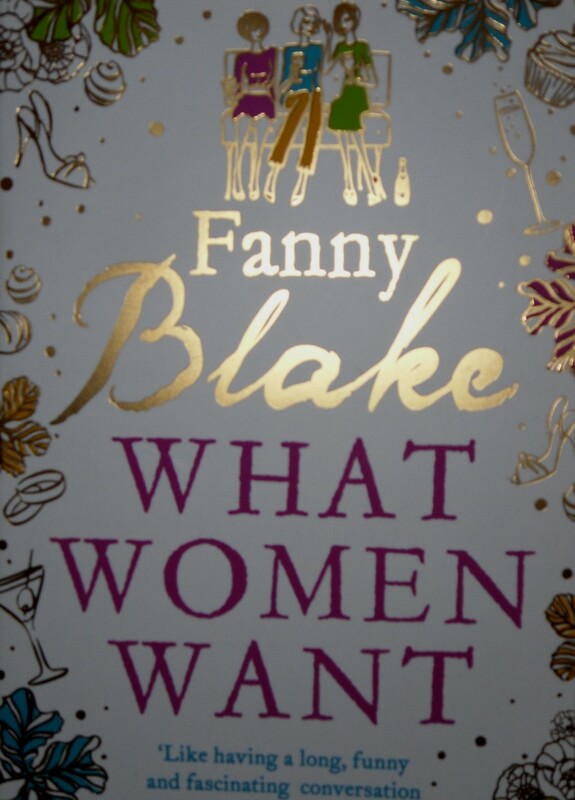 What Women Want is the first novel by Fanny Blake, a journalist & writer in the UK. I was contacted by a publicist who asked if I'd like a copy to review & when I saw that Katie Fforde had given the book an enthusiastic plug I said I'd be happy to read it. It's the story of three friends in middle age, all coming to a crossroads in their lives. Bea is divorced, mother of mono-syllabic Ben, & facing a crisis at work. The publishing firm she works for is taken over by a young, ruthless man who has very definite ideas about the future of the imprint & Bea wonders whether she still has the passion for the job that she once did. There isn't a lot of passion in other areas of her life either as she goes on a series of very funny dates with men met through a dating agency, Let's Have Lunch. Kate is a GP, now a partner in the practice. Frantically busy at work but more with admin than actually treating her patients, Kate is permanently exhausted. Two of her three children have left home & her marriage to Paul seems to have fallen into a slump. Paul seems permanently stressed & unwilling to talk to Kate about any problems. When he suddenly smartens up his image, with a new haircut & visits to the gym, Kate fears that she may lose him altogether. Ellen has been a widow for over 10 years. She runs an art gallery & she has poured her life into the business & her garden. She has two teenage children and has never looked at another man until recently when Oliver came into her life. Younger than Ellen, very attractive, Oliver sweeps Ellen off her feet & into bed. At first she's overwhelmed & on cloud nine. Gradually though, niggling dounts creep in. Oliver isn't satisfied with Ellen's grey hair, comfortable clothes & slightly overweight self. First it's new lingerie & a salon makeover. Soon he's watching what she eats & trying, not altogether successfully, to ingratiate himself with her children. There are other incidents that should make Ellen wary but she's so much in love that the fact that Oliver is cagey about his past, has no money & is happy for Ellen to pay his rent in a swish studio flat, don't make as much impression as they should. Until Bea & Kate find out about the relationship, of course. What are friends for if they don't look out for each other? Ellen has always been the one to be pitied for the loss of her husband & the brave way she's carried on since. Kate is the sensible, centred one with her life all mapped out. Bea is the wildcard, from her wardrobe full of impulse purchases to her self-indulgent love of wine & expensive chocolates. Bea is immediately suspicious of Oliver & his motives & starts digging into his background. What she discovers leads to a rift between the three women that could end their friendship. I enjoyed What Women Want very much. Bea is an especially vibrant character & lots of fun. Fanny Blake's experience in publishing shows in Bea's struggles at work & her attempts to out-Machiavelli a younger, thinner, more ruthless rival for her job. 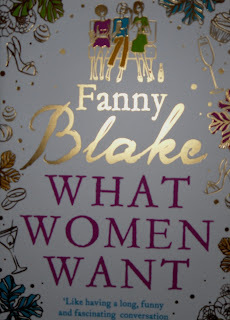 Most of the humour in the book comes from Bea too & her many misadventures with men whether it's her boss, the slimy toad she meets who leaves her with a nasty present after a one-night stand, or the kind, thoughtful man who just may be the one she's looking for, even if he does wear lycra bike shorts. Ellen's predicament is also very real. She has spent the last ten years mourning her husband, raising her children & burying herself in her work so Oliver's attentions just bowl her over & her emotions take over. The gradual realisation that Oliver isn't all he seems is beautifully done. The only problem I have with the book is the packaging. The cover really doesn't do justice to the contents. I'm not a fan of chick lit covers & raised gold print so I probably wouldn't have picked this book up if I hadn't been offered a review copy. The contents are more serious, & more interesting, than the cover, with its champagne glasses & high heeled shoes, would lead you to expect. I visited the Melbourne Museum last week to see the exhibition, Tutankhamun & the Golden Age of the Pharoahs. This is apparently the last time the artefacts from Tutankhamun's tomb will leave Egypt and, as I'm unlikely to ever visit Egypt, I had to take the chance to see the treasures. It was an excellent exhibition. I took the audio tour narrated by Omar Sharif, &, as always, this added so much to the experience. I also find the audio tours useful because often the wall panels with information are lit so dimly that I can't read them. It was wonderful to be able to see, in the round, objects I'd only ever seen in books. The highlight for me, even with all the gold, was a massive granite head of Akhenaten, who may have been Tutankhamun's father. He was certainly the father of Tutankhamun's young wife, Ankhesenamun. Akhenaten is an enigmatic figure who attempted a religious revolution by rejecting the many gods of Egypt in favour of one god, the Aten or sun disc. The art of his reign is also very unusual. Akhenaten & his wife, Nefertiti are often depicted with elongated bodies, long faces & protruding stomachs. The royal couple & their six daughters are often shown in very intimate settings, playing together & worshipping the sun. Although Akhenaten's religious reforms didn't last, some of the artistic influence is still apparent in the reign of Akhenaten's successor, Tutankhamun. In the exhibition was a gold shrine (it's pictured on the cover of Howard Carter's book above). 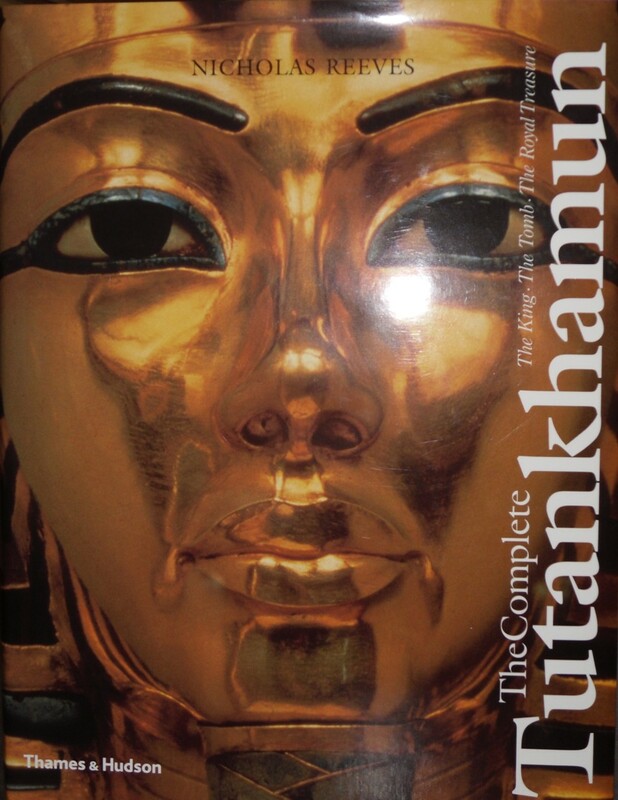 Tutankhamun & Ankhesenamun are depicted in similarly intimate ways. She kneels before her husband & hands him arrows when he's hunting. Ankhesenamun anoints Tutankhamun with oil. Their postures are relaxed & familiar. We don't know much about Tutankhamun's short reign or their relationship but these images are very touching & suggest that they had a happy relationship. 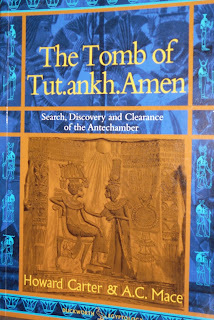 I've had this copy of Howard Carter's book on the discovery of Tutankhamun's tomb on the tbr shelves for quite a while. But, this only proves my point that every book on my overflowing tbr shelves will be read one day when the time is right. 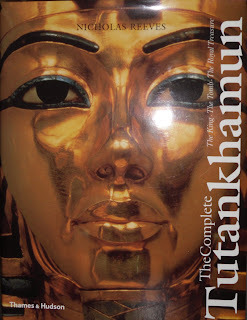 Unfortunately I only have Vol 1 of Carter's 3 volume work on the tomb but I also looked through Nicholas Reeves's book, The Complete Tutankhamun, which has also been on my shelves for a very long time. Howard Carter was, of course, the archaeologist who discovered the tomb in 1922. He was working for Lord Carnarvon, whose death from an infected mosquito bite only months after the discovery led to the stories about the curse of the tomb that have kept conspiracy theorists happy ever since. Let me try and tell the story of it all. It will not be easy, for the dramatic suddenness of the initial discovery left me in a dazed condition, and the months that followed have been so crowded with incident that I have hardly had time to think. Setting it down on paper will perhaps give me a chance to realize what has happened and all that it means. The initial discovery of a flight of stone steps leading to a tomb was exciting enough. There had been no indication that a tomb was there & the steps leading to a passageway filled with rubble was the first indication that there could be a tomb. When Carter's team removed the rubble & discovered a doorway with intact seals on it, his excitement grows. However, his patron, Lord Carnarvon, is in England so all work stops while Carter telegraphs the news & waits for Carnarvon's arrival. When Carnarvon & his daughter, Lady Evelyn Herbert, arrived, the scene was set for one of the most famous moments in archeology. Slowly, desperately slowly it seemed to us as we watched, the remains of passage debris that encumbered the lower part of the doorway were removed, until at last we had the whole door clear before us. The decisive moment had arrived. With trembling hands I made a tiny breach in the upper left hand corner. Darkness and blank space, as far as an iron testing-rod could reach, showed that whatever lay beyond was empty, and not filled like the passage we had just cleared.... widening the hole a little, I inserted the candle and peered in, Lord Carnarvon, Lady Evelyn and Callender standing anxiously beside me to hear the verdict. At first I could see nothing, the hot air escaping from the chamber causing the candle flame to flicker, but presently, as my eyes grew accustomed to the light, details of the room within emerged slowly from the mist, strange animals, statues, and gold - everywhere the glint of gold. 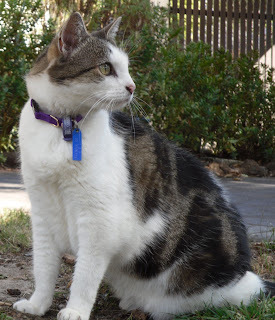 For the moment - an eternity it must have seemed to the others standing by - I was struck dumb with amazement, and when Lord Carnarvon, unable to stand the suspense any longer, inquired anxiously, "Can you see anything?" it was all I could do to get out the words, "Yes, wonderful things." Apparently, Carter had help writing this account from a novelist, Percy White, & that passage shows the touch of the novelist, but it's still a dramatic & heart-stopping moment. The rest of this volume describes the removal of objects from the tomb, how every object seemed more amazing than the one before. The generosity of other archaeologists & museums is acknowledged as well as the torments Carter suffered from tourists & journalists eager to see the treasures & disrupting his work. It was fascinating to read of the discovery of several of the objects I'd seen in the exhibition & to see the photographs (only in black & white) & read the descriptions. Carter describes the incredibly painstaking work of clearing this chamber. Objects had been thrown around by robbers as they frantically searched for portable gold objects to sell. One of the most fascinating finds was a bundle of cloth containing eight gold rings. These had been wrapped in the cloth by a robber who had left them behind, maybe he was disturbed. The method of wrapping valuables in a headcloth is exactly the same as Carter had seen in the markets of Egypt in his day. Carter's discipline was remarkable because, across the chamber, guarded by two life-sized statues of the pharoah, was a doorway leading, he hoped, to the burial chamber. Carter & his team painstakingly removed, photographed & documented every object in the chamber before approaching the doorway. At the end of the book, Carter has cleared the first chamber & broken through this other doorway to reveal an enormous golden shrine. He knows that this part of the tomb is untouched by robbers because the seals are all intact so he knows that the burial chamber with the sarcophagus & mummy of Tutankhamun are within. He can have no idea of what he will find within. I'm very keen to get hold of the other two volumes of this work now as I feel I'm leaving the story only half-told. 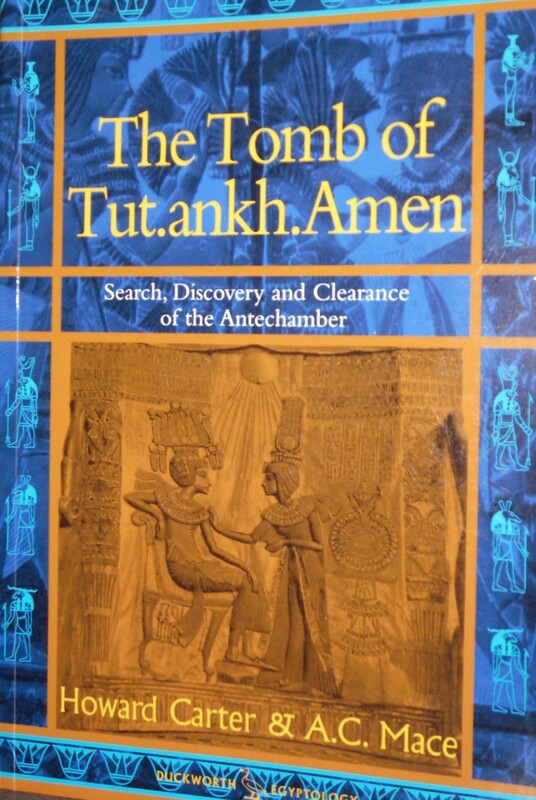 Nicholas Reeves's book is a beautiful accompaniment as he describes & illustrates all the treasures of the tomb, but Howard Carter's first-hand account of his work is exhilarating to read. We've had a week of perfect autumn weather in Melbourne. 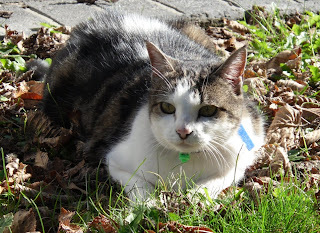 Warm, sunny, gentle breezes, leaves gently falling from the trees. It made me think of Anne Elliot's autumn walk in Persuasion where she finds herself "repeating to herself some few of the thousand poetical descriptions extant of autumn, that season of peculiar and inexhaustible influence on the mind of taste and tenderness, that season which has drawn from every poet, worthy of being read, some attempt at description, or some lines of feeling." I like to think that James Thomson's Autumn, part of his very popular book The Seasons, was one of the poems Anne remembered during her walk to stop her thinking about what Captain Wentworth & Louisa Musgrove might be talking about! And slowly circles through the waving air. Roll wide the withered waste, and whistle bleak. The desolated prospect thrills the soul. That final line might have pleased even Marianne Dashwood at her most intensely Romantic.